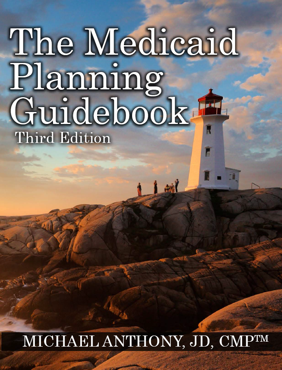 Medicaid and VA Transfer Trusts – There are several different varieties of gift trusts that can be used to help establish current and future eligibility for VA benefits and long-term care Medicaid eligibility. In some cases, the use of a gift trust can establish immediate eligibility for Medicaid home care when the home care is provided under the community Medicaid rules. 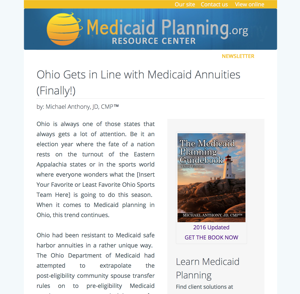 Solely-For-The-Benefit trusts allow a potential Medicaid applicant to transfer assets to a trust in favor of a qualified beneficiary and exempt the funds put in the trust from the Medicaid spenddown. Additionally, Special Needs Trusts can also be used to help reduce the overall spenddown in favor of the care and support of a disabled family member who qualifies. Homestead Property Trusts – Sometimes it makes sense to treat real property differently when transferring it to an irrevocable trust, especially if the client desires to maintain the IRC § 121 exclusion and local homestead property benefits. This is often used when a potential VA benefit recipient desires the option of selling the home without losing benefit eligibility. Qualified Income Trusts (called “Miller Trusts”) – If you’re in an income-cap state, a client may need to place excess income into a Miller Trust in order to qualify under the income limit for Medicaid. Some or all of the applicant’s income is diverted to the trust to qualify for benefits and then the income in the trust is used to satisfy their required payments. Pooled Asset and Income Trusts – In some states, pooled trusts are run by non-profit entities and allow a Medicaid applicant to divert assets or income to the trust to help qualify for benefits. In New York, for example, a pooled trust can be used to help financially qualified senior to qualify for managed care at home by contributing excess income to the pooled trust. The pooled trust then, in turn, uses those funds to help support the living expenses of the Medicaid recipient. Trusts can come in a variety of types and have multiple uses. If you want to know how to design and implement a trust for your legal service clients, we can help you. Our trust design services are provided to properly licensed advisors providing planning services. We do not provide trusts directly to the public. If you need the help of a trust attorney in your state, please let us know as we work with attorneys around the country.